This is the third international forum, bringing together leading experts in the field of training young athletes. 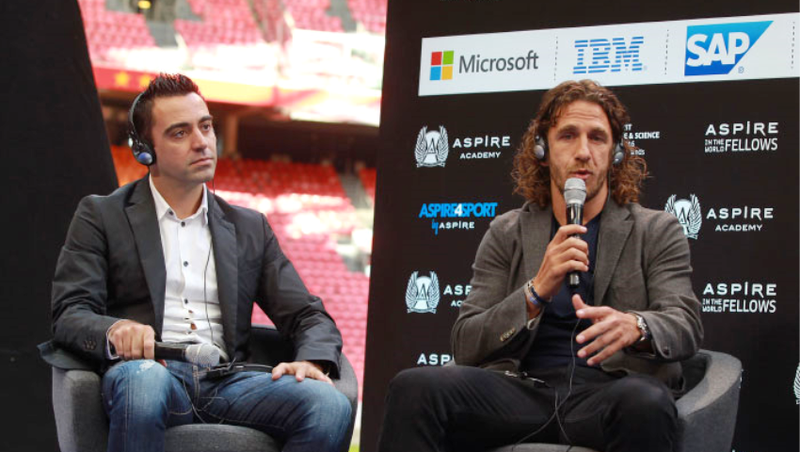 They have invited the football stars like Marcelo Bielsa, André Villas-Boas, Xavi, Carles Puyol, Edwin van der Sar, Marc Overmars and Ronald de Boer as speakers. The summit was held in Amsterdam, at the renowned Amsterdam Arena. Shakhtar was represented by the Academy Director Oleksandr Funderat. - The forum brought together quite a reputable audience. The participants represented clubs from around the world. There were many representatives of the top teams: Barcelona, Manchester United, Arsenal, Milan, Juventus... It's nice that this company involved Shakhtar, the only club from Eastern Europe. As for the event itself, the classes were held in dialogue format where anyone could ask questions, sharing their own experience at the same time. The summit covered three major topics: From Data to Training, Return to Play and Feedback and Communication with Players, Coaches and Staff. Besides the speakers taking the floor in turns every 90 minutes, they held round-table discussions, where the clubs presented their vision of the matter under discussion. - What topic did you cover? - Our Academy discussed the From Data to Training topic, which focuses on testing the players between training sessions, alongside checking their fitness and form. It deals with creating a kind of platform, or database for storing the output data of different tests, which would allow us to understand how they might influence the training process. Checking the individual player development is a priority at every academy. When the data is converted into figures, it is possible to get the most information. - What speaker impressed you the most? - Surprisingly, André Villas-Boas quite openly talked about his jobs at five top clubs, about the challenges he faced. Marcelo Bielsa, who conducted a master class in tactics, presented his vision and understanding of the new tactical phases of football development. In particular, he tried to predict how the well-known tiki-taka would evolve, coming to the conclusion that in the future, increasingly more teams will switch to deploying three defenders. It was very interesting and informative.